As you begin the sweeping and sorting, which are traditional parts of spring cleaning, it can be easy to overlook upholstery cleaning. However, this process has both aesthetic and health implications for your home. 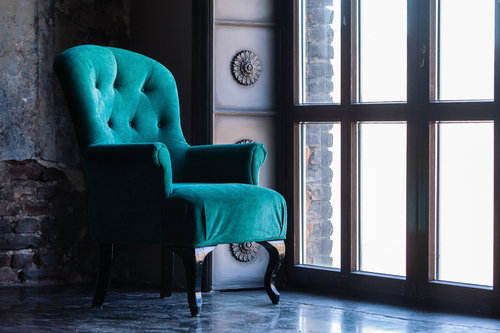 Below are a few reasons why it’s valuable to schedule an upholstery cleaning after winter. Due to sleet and snow, anyone entering your home from the outside will bring a mixture of moisture and dirt with them. Even when visitors take off their jackets and shoes, some of it will inevitably linger, eventually accumulating on your upholstery. As it hardens, the particles will make your furniture feel dirty. By scheduling an intensive upholstery cleaning for the spring, you can start the season free of grime. With the nicer weather, you’ll probably have the chance to host friends and family more often. Before they come, it’s nice if the upholstery is looking its best. If you take a minute to examine the furniture, you may notice how dull it is in comparison to previous years. Pressure washing removes the grit sinking deep into the fibers, restoring the upholstery to its original, vivid colors. As beautiful as spring can be, for many people, it’s also allergy season. With pollen already a nuisance, it’s vital to make your home’s interior air quality as clear as possible. But when your upholstery goes months without any cleaning, dust and even germs become embedded in the fabric. Extracting those particles will let everyone breathe easier and prevent respiratory problems. Carpet Cleaning By Cummins has earned a reputation as the state’s top cleaning company. The professionals offer upholstery cleaning and carpet cleaning throughout Seguin, Nixon, La Vernia, and New Braunfels, TX. To speak with a friendly staff representative, call (830) 379-3383, and learn more information about the company by visiting the website.